A whole house surge protector guards your appliances, valuable electronics, landscaping and lighting systems from power surges. A surge can be caused by lightning, faulty wiring, downed power lines, utility companies, and even appliances cycling on and off. Most people think of lightning as the most common type of power surge. Indeed, it is the most dangerous, but the NEMA Surge Protection Institute reports that 60% to 80% of power surges start inside the home – typically from major appliances and systems that cycle on and off, such as air conditioners, refrigerators and clothes dryers. In fact, though they are often a source of power surges, a refrigerator surge protector is becoming more popular. Newer, more sophisticated models are designed with a motherboard and other technology. They are very costly to repair or replace if a damaging surge occurs. Most homeowners do their best to protect household items, such as computers, by using the plug-in (power strip) surge protector. This is not adequate protection for homes or businesses. 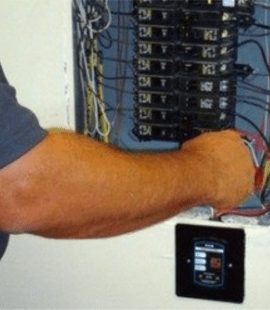 A whole house surge protector is hard-wired by an electrician, normally at the service box. It provides primary protection from external sources such as mother nature, electrical, cable/satellite, and telephone utility services. They also provide secondary protection against internal and residual power surges. This device works by detecting excess electrical current and diverting it safely. For everyday fluctuations to downed power lines or lightning strikes, a whole house surge protector is well worth the investment. Whole house surge protectors use the same material power strips do to protect your electronics. The limited surge suppression devices have a bad reputation as a large enough surge makes them useless against future surges. Whole home protection defends all your devices and is designed to handle much larger surges and continue to effectively protect your home or business. Guard your property and belongings against power surges. 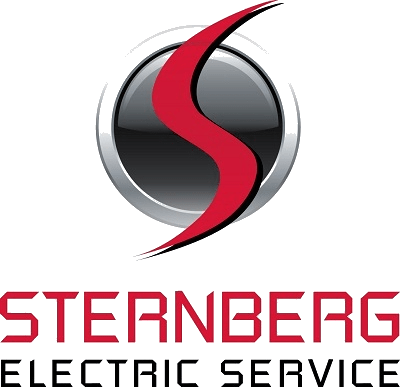 Sternberg Electric is a fully credentialed Minneapolis, MN electrician specializing in safety and energy-efficiency for homeowners. Take advantage of our discount on whole house surge protection by contacting us for a free estimate consultation.